Dear Salvation Army – Let’s Turn Things Upside Down! For far too long there has been this imaginary ideological organizational structure which told us (erroneously) that the corps and front-line ministries were at the bottom of The Salvation Army pecking order. Honestly I don’t really get caught up in “who is first” or “who is most important”, yet at times there is this unspoken notion of “climbing the corporate ladder” even in The Salvation Army. 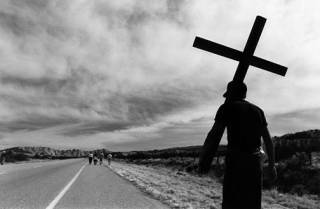 As if corps ministry and front-line evangelism is somewhat lacking in prestige and importance. Let me make this absolutely clear – If anyone in our Army has signed up for the express purpose of “climbing the ladder” and to “get out of corps ministry” then perhaps that person should consider finding another army to belong to. How are our hearts? Isn’t serving God with our everything enough? Isn’t being loved by the King of Kings and Lord of Lords prestigious enough? 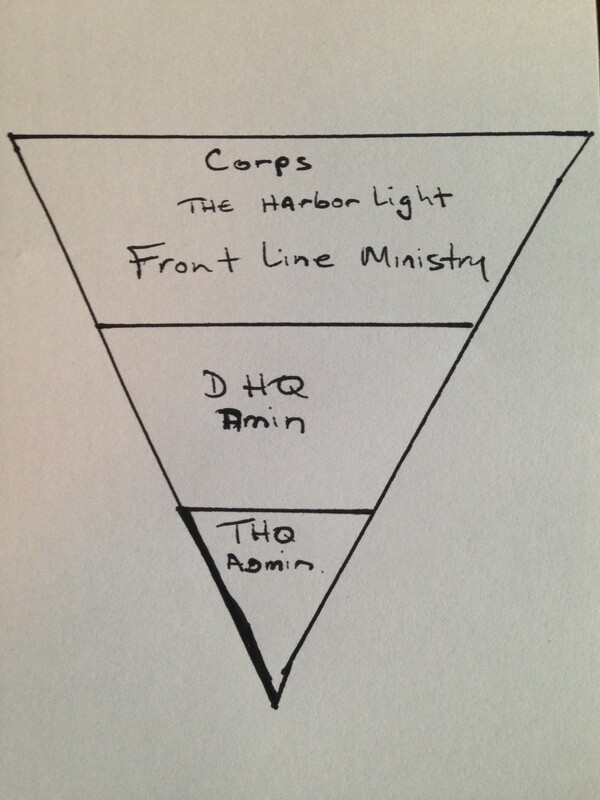 How leadership and administration (and soldiers) ought to view the structure active ministry and evangelism. For far too long men and women of our Army have gone about “position” all wrong. Yes we need administration and leadership but what is our primary purpose? What is that one principle upon which we are an Army? Christ-then Others! 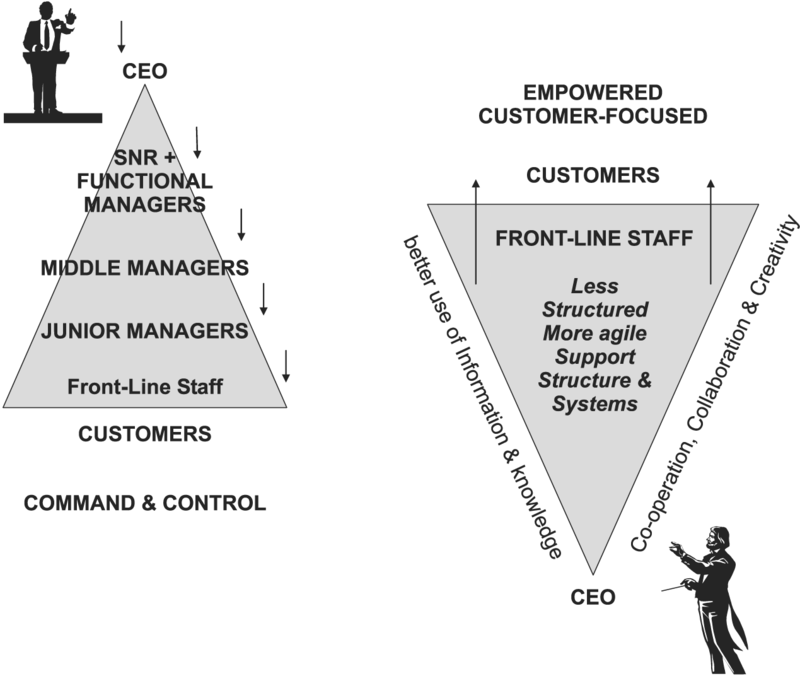 If we only look at Salvation Army structure as ranks and office then we are only reflecting worldly hierarchical organizational -money driven, success oriented models, which are rife with politics, maneuvering, ego-driven leadership, power hungry people. Are we an Army dependent upon these things? NO! It cannot be that way with us! It should not be that way with us…and yet at times it has become inexplicably linked with our internal identities. We must continually turn this identity upside down! We must guard our hearts from pride and arrogance and the pursuit of “position” within our Army. 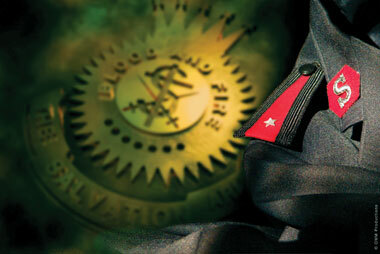 It was never about what rank was placed upon our shoulders. It was never about what position we held at the corps or divisional headquarters, or territorial headquarters or any other “headquarters”…it IS about serving Christ humbly and from this one vital relationship (our first love) all things ought to flow in our ministries. This is something further our Army must continuously ponder…to God be the glory! Please, tell me what you think by commenting below and leaving responses…let’s continue this dialogue together! Previous Post Previous post:Dear Salvation Army – A disconnected culture or a disconnected Army? Next Post We found Rest and Relaxation at Serenity Falls…you should too! This has not been my experience at all. I work at DHQ and serve on the “front lines” as well. I know a lot of our DHQ officers on a personal level and I’m also related to some of them (so you may have to dismiss this comment as bias.) In my experience there is no place DHQ officers would rather be than serving at the corps. Most of them came in for their love and passion for corps ministry. Most of them will even tell you (and actions will show) that their hearts are at the corps. I do believe you are on to something. I would argue that what seems as a top down power drunk hierarchy is rather this: very busy schedules, lack of great personal, and a lot of disgruntled staff and officers that are all feeling the crunch of shifting cultural tides, needs and resources. I would argue that we have some of the most humble men and women, from the corps to THQ but we suffer from poor personal development and a collection of goals and standards that need to be reevaluated and simplified to work for our current realities. Love the blog and the issues you are bringing to light for us to wrestle with. God Bless. Thanks for the comment and your perspective as well! I really appreciate your insight! Blessings! One of the biggest problems that I see in the Army structure is the lack of Salvationists in Paris positions from the City Commands and up (DHQ and THQ). Since so many staff have a view point that this is just a job, they do not have the reversed mindset that Rich is suggesting here. They are bringing the typical top down secular view to the workplace. I think if the Army were to place more importance of hiring their own (they still have to be qualified) it would make things a little better all around since we would have the fundamental views of what the Army is all about and what we are trying to accomplish. I agree that busy schedules and resources are a part of it as well but with qualified Salvationists in these positions, we would better understand the limiting factors since it is something that we deal with at the corps level all the time. Having being involved in bringing an old corps building from mothballs when officers were planted in our area. [Before I was a soldier] I found then and still see today that DHQ and THQ are more of an obstacle to TSA moving forward than a help. When a Corps can’t even cut its own check it hinders ministry and wastes resources. 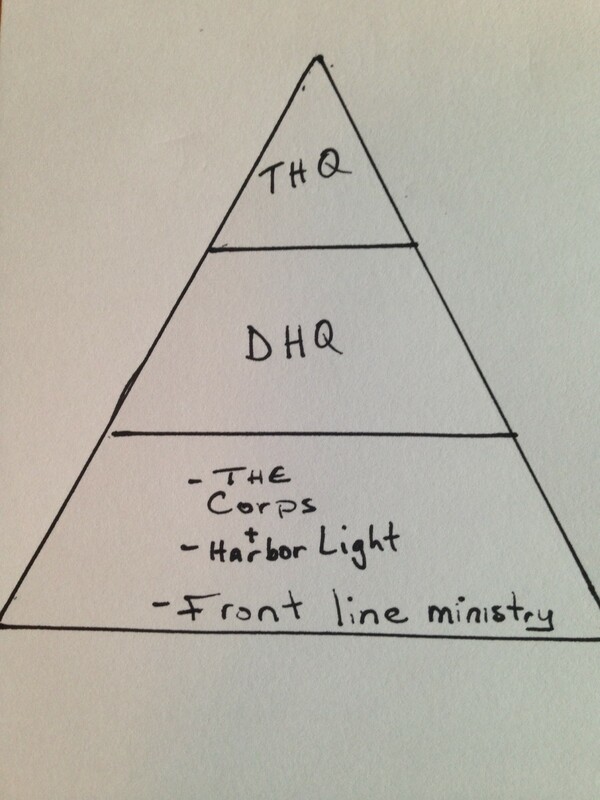 When DHQ wants to run every thing it wastes resoources and hinders ministry. When we take our eyes off people, off Jesus, and off our calling to the poor and marginalized it wastes resources and hinders ministry. When we focus on congresses, on institutes, that most soldiers can’t afford we are hindering ministry and wasting resources. When we can’t afford to train, equip, or trust local soldiers for battle because it has no priority, we are hindering ministry and wasting resources, not of money but of people and the Holy Spirit. We no longer do the most good. We have become self centered, not Christ centered or battle focused.